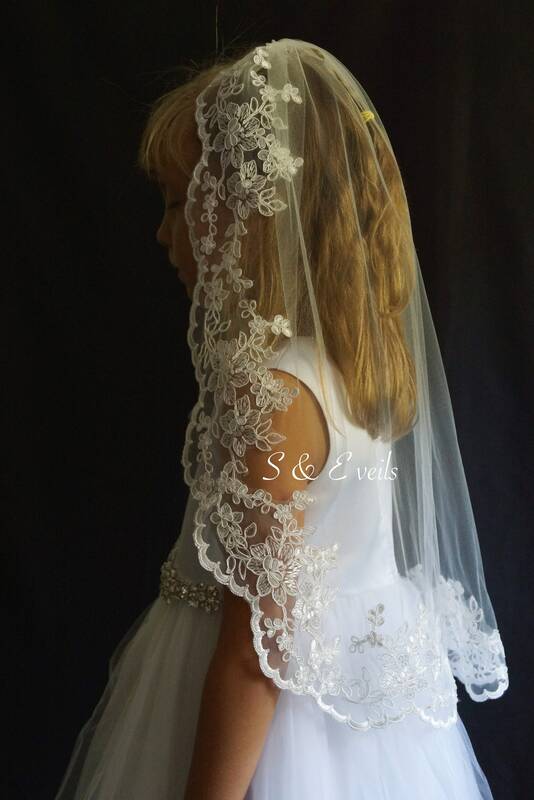 It would be an honor to make this gorgeous lace veil for your special occasion! 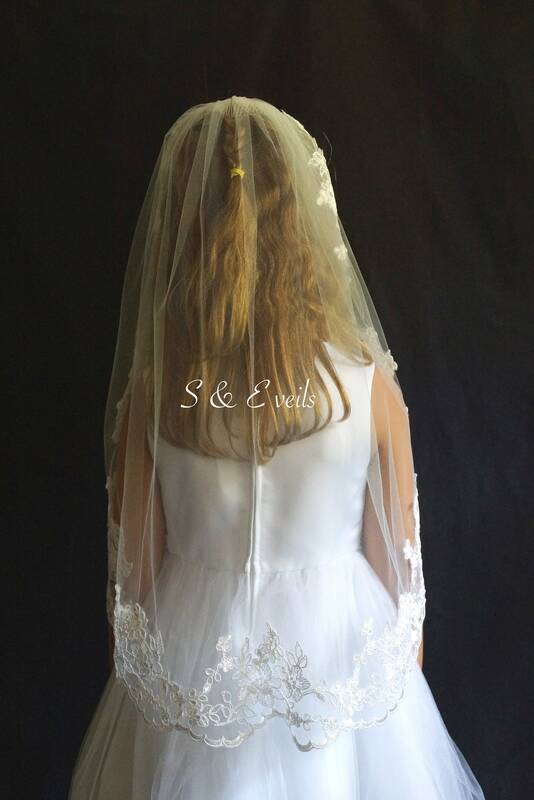 To get your desired length, just measure where the veil will be placed on the head to where it will end. Custom lengths are available per request. NOTE: In the "Note to Seller" please write which LACE option you would like. 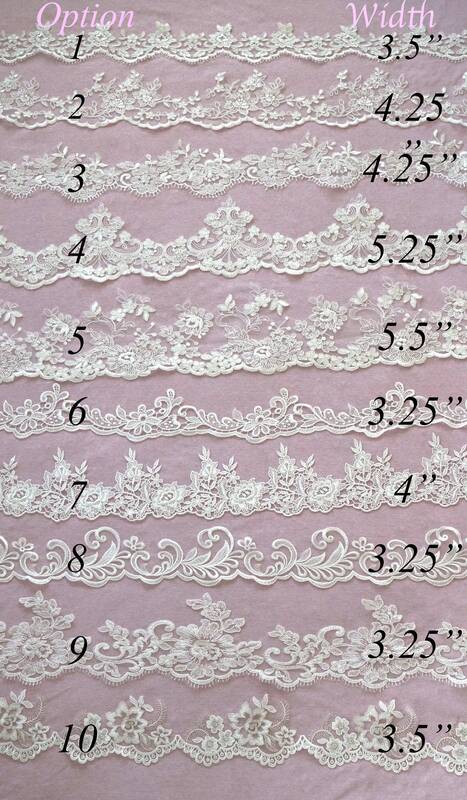 If Lace number not chosen, you will receive your veil with the same lace as in the photo.